Cao County Tongliang Wood Industry Co., Ltd.
Ningbo Beibeile Baby Products Co., Ltd.
Linyi Baoyanchengxiang Plastic Co., Ltd.
Ningbo Gilmer Children Products Co., Ltd.
Zhejiang Xinding Plastic Co., Ltd.
Wenling Sanbo Plastic Products Co., Ltd.
Chengdu Yumeng Trading Co., Ltd.
Hebei Amy Trading Co., Ltd.
Fuyang Jinmu Arts And Crafts Co., Ltd.
1, Q: Are you the manufacturer or trading company9 A: We're the manufacturer, having our own factory. 2, Q: What's y our advantage compared with other suppliers9 A: We&rsquo;re the manufacturer, can produce/adjust it quickly. 3, Q: Can I only order one piece for my baby9 A: Sorry, we're not the retailer, thus only 1pc order isn't acceptable. Ningbo Yibai Children Products Co., Ltd.
Ningbo Ouyi Houseware Co., Ltd. Item No. 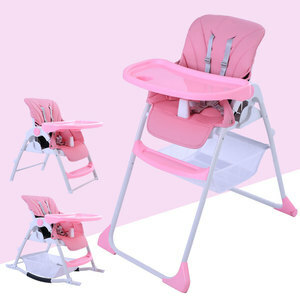 : A911027 Description: Baby high chair Material: PP Product size : open size:78*56*99cm close size:56*38*101cm Product weight: 8.1kg Unit Price : USD27-32, 300 Unit packing: 1pcs/poly bag Qty/Ctn: 1pcs/ctn Ctn size: 50*29*65cm G.w/N.w. : 9.1/8.1kg Qty/20'/40'/40'HQ: 300/634/720 Period of validity: 45-60day Detailed Images - Baby Series - For more products information, pls click here! - WHY US &darr; Please feel free to contact us for more information! Xiamen Dakun Import & Export Co., Ltd.
Taizhou Fenglilai Plastic Co., Ltd.
Qingdao King Wing Trade Co., Ltd.
Hefei Craft Child Product Co., Ltd.
Hebei Yitian Bike Co., Ltd.
Taizhou Hahaya Children Wares Co., Ltd.
Cixi Babyhome Products Co., Ltd.
Taizhou Legal Plastic Co., Ltd.
Huaian Goodcome Children Products Co., Ltd.
Taizhou Beihao Baby Products Co., Ltd.
Taizhou Lebixiong Baby Product Co., Ltd.
1: Are you a manufacturer or trading company9 A: We are a baby product factory. 2: Where is your factory located9 How can I visit there9 A: Our factory is located in huangyan,taizhou City, China. 5: What about delivery time9 A: The delivery time is 7-30days. Taizhou Beiqi Baby Products Co., Ltd.
Xingtai Youyuxuan Trading Co., Ltd.
Jiangmen Guanqiang Hardware Plastic Products Co., Ltd.
Taizhou Doit & Baby Kid Products Co., Ltd.
Ningbo Bachoo Children Products Co., Ltd.
Hebei Tehong International Trade Co., Ltd.
Ningbo IVOLIA Children Products Co., Ltd.
Q5. 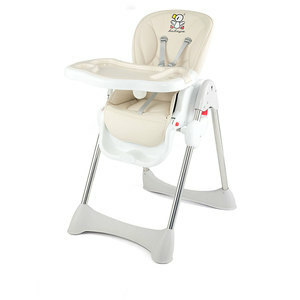 How to proceed an order for baby high chair9 A: Firstly let us know your requirements for baby high chair. Please inform us formally before our production and confirm the design firstly based on our sample. Q7: Do you offer guarantee for the products9 A: Yes, we offer 1 year warranty to our products. Hebei Greensky Bicycle Co., Ltd.
Ningbo Jinyan International Trade Co., Ltd.
Anhui Honest Imp. & Exp. Co., Ltd.
Zhucheng Singwood Furnishings Co., Ltd.
Xingtai Lehong Child Toys Co., Ltd.
Surefine Ningbo Medcare Co., Ltd.
Ningbo Jintong Baby Products Co., Ltd.
We can support any baby products you inquired. We are already exporting to various countries. We can send pictures to you for your reference. Hangzhou Dushi Children Bicycle Co., Ltd.
Alibaba.com offers 7,785 baby feeding chair products. About 87% of these are children chairs, 4% are other baby supplies & products, and 1% are strollers, walkers & carriers. A wide variety of baby feeding chair options are available to you, such as free samples, paid samples. There are 7,799 baby feeding chair suppliers, mainly located in Asia. The top supplying countries are China (Mainland), Vietnam, and Taiwan, which supply 99%, 1%, and 1% of baby feeding chair respectively. 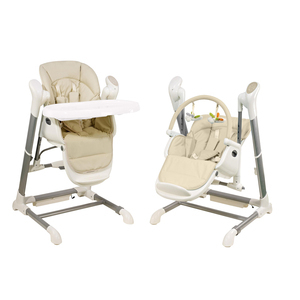 Baby feeding chair products are most popular in North America, Eastern Europe, and Western Europe. You can ensure product safety by selecting from certified suppliers, including 597 with ISO9001, 516 with Other, and 152 with ISO14001 certification.